Summary: Claire has her share of challenges. Like being a genius in a school that favors beauty over brains; homicidal girls in her dorm, and finding out that her college town is overrun with the living dead. On the up side, she has a new boyfriend with a vampire-hunting dad. 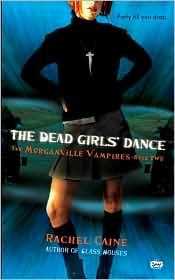 But when a local fraternity throws the Dead Girls' Dance, hell is really going to break loose. WOW! I could not put this book down! Really good.